Tearing out an old restaurant to build a studio I took a few digital snaps of the work going on and found this wonderful abstraction. This was an accident. Today I'll look at it deliberately. Twas thinking about the process of abstraction and how I would treat such a subject as this photo. The effort is congruent with my thoughts regarding the picture as an artifact. This isn't so much a 'new' thought, I am sure this has been the subject of much of modern arts efforts but it hasn't happened with me until now. Should I use materials from the subject itself? Should I see what can be done inside the computer? That's always fun and such immediate gratification. What does an abstract Plein Air painting look like? Wolf Kahn comes to mind. It is evidently unconventional. I visit all the pleinair sites that are cropping up and I find a number of tenets. 1. painting outside in front of the subject is the common denominator. 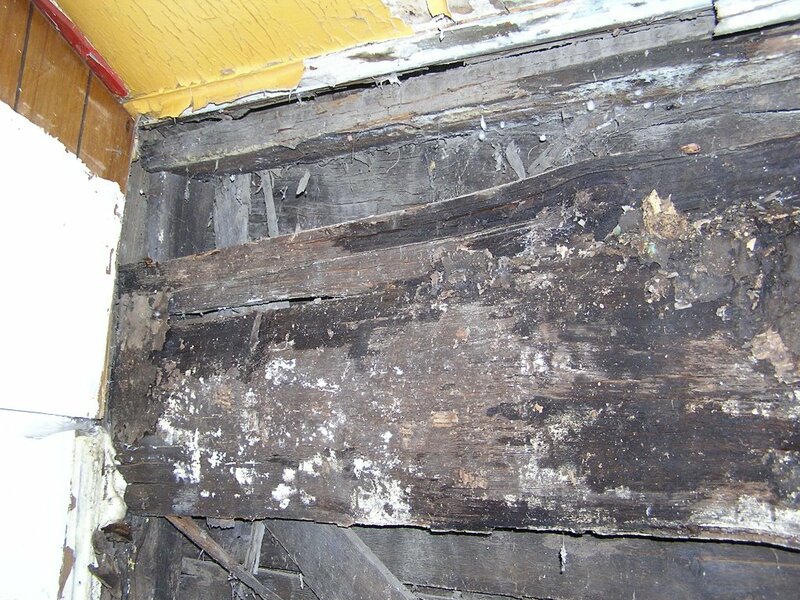 2. there are rules such as a time frame to be finished, usually so the works can be offered to the public. 3. most pleinair work is quite conventional with little interest in abstraction, perhaps this is to celebrate the old value of the artist as the magician that can reflect nature and astound us with the illusion of reality. One of the features or art that I highly regard. Art/artisan/artifice/artificial.............4. there are rules, rules of the event, rules of engagement and rules of authenticity although unlike improptu acting, it's OK (snicker) to work on it a bit in the studio. Whenever I am subject to rules I get in trouble. I've never had to much luck with rules and hoped I could avoid as much of that as possible. So why am I stuck on conventional Pleinair? It's good and builds skill to try to replicate nature. Like playing a guitar and writing a song whenever an artist is involved the unexpected can happen and takes us out of the ordinary we are so used to. Even a pleinair painting has the ability to be a special artifact. One that relates, projects and elevates the viewer. Given so much literal rendering, what part of my work should be developed in such a way as to accomplish an abstract plein air painting? Loosen up and use the imagination. Try to SEE. 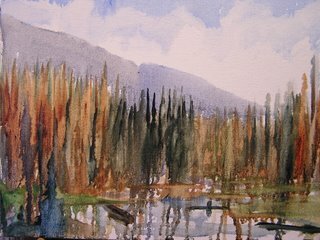 After a couple days off from Sandpoint Paintout I was on my way to the Slocan Valley in British Columbia to a workshop put on by the local artist, in particulary an extraordinary person and world traveler, Barbarra Wilson, from Winlock, B.C. Thanks Barbarra and gang for all the preparation and arrangements. It was a perfect retreat. 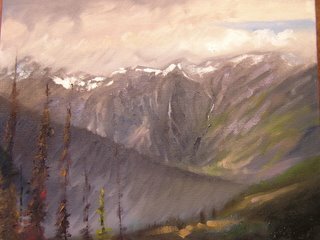 Held at the Little Slocan Lodge we had the pleasure of sharing the days and evenings with reknown Canadian artist David Alexander who paints BIG and paints his own way. David didn't tell us how to paint or what to paint or even criticize our work, instead he pushed us to get beyond ourselves and challenge how we are used to working. I have to say it was what I needed at this time although it would be nice to just develop what I thought I was doing. I still will pursue the line of work I was attempting but with new eyes. I'll push technique with the confidence of knowing I can either fix it or start over. but paint all the time." 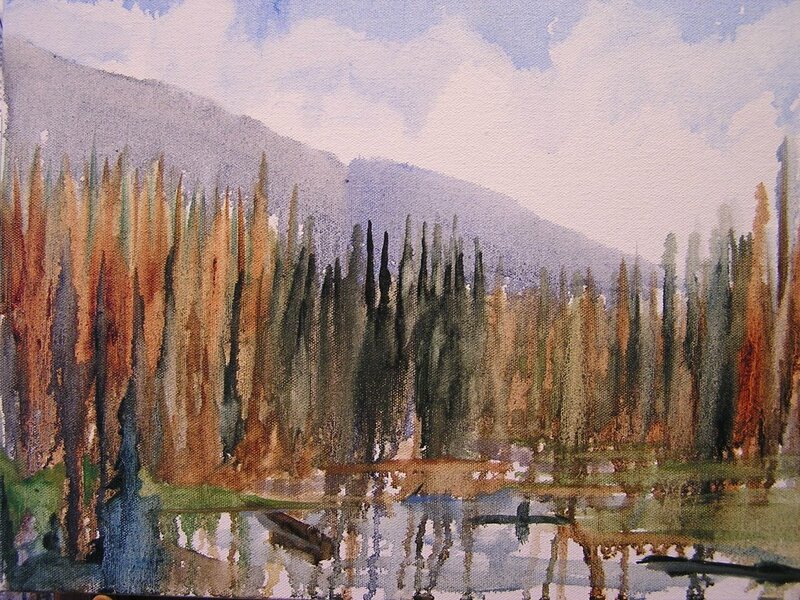 I've added 'paint what you can imagine after our workshop in Slocan. Painting all the time not only requires all of those thoughts but is an activity that is a resolution of those consideration but only if one keeps open to what is happening on the canvas. I left the workshop with this painting of a creek in the mountains. It looks like a watercolor but is a wash of oil. David pointed out the neat things that were happening at the bottom of the canvas and try to retain that. I used to paint this way and now do so only as an underpainting but will try to include this in a final piece. I've been stuck on impasto and getting thicker with my paint, exploring the pallet knife and trying to achieve that luscious look that impasto paint illicits. Thumbing through the books and listening to David makes me more comfortable with abstraction. I think Canadian landscape is a unique relationship with things natural. Canadians live with nature as few countries do. The landscape is in your face and common ground for everyone, especially western Canadians. 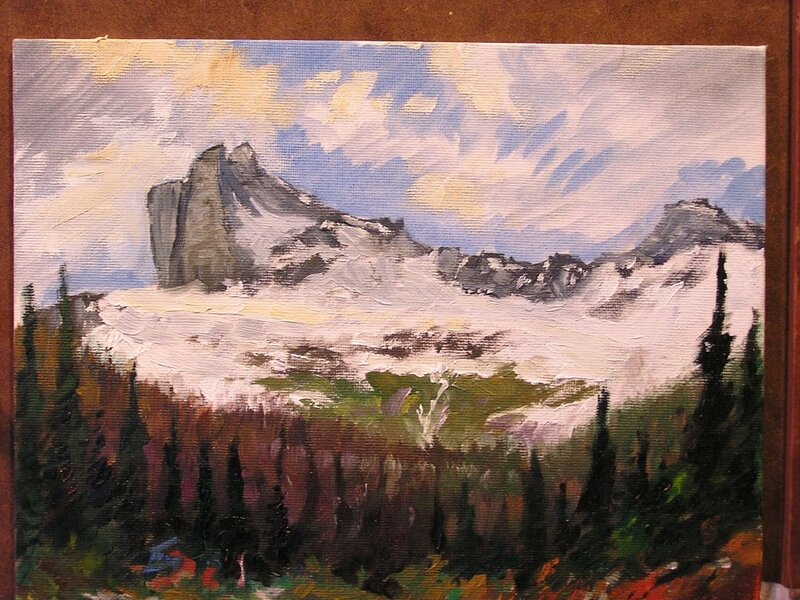 That's a generallity that has many exceptions but for the purpose of landscape painting, whether plein air or studio work landscape is a natural element for Canadian artists. I've always maintained that a good location paints itself and we had wonderful location which I will visit as often as possible. Thanks, everyone! Stay in touch!